I consider myself a “foodie”. Someone who appreciates fine food (and yes, eats lots of it, as evidenced by my ongoing battle with weight). But I am by no means a food snob. I can get just as much gastronomic pleasure from a well made shwarma as I do from delighting in the whimsical creations of a Michelin starred chef. Ah, Michelin! Growing up I always associated this name with a chubby man made of rubber tyres. As I got older and started my passionate love affair with travelling, I realised that Michelin also made road maps and travel guides. It made sense – those wheels had to go somewhere. 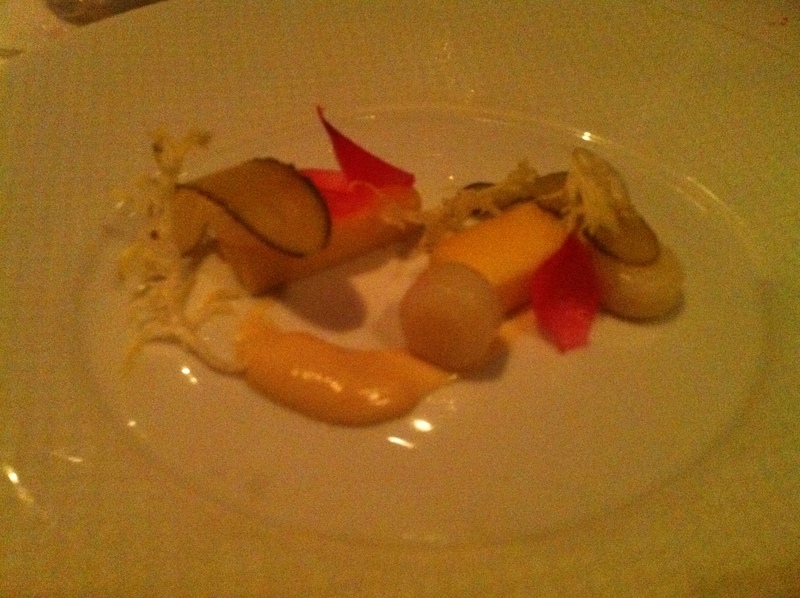 But I only became aware of Michelin as a rating system for fine dining restaurants after I graduated into a full blown foodie sometime in my mid-thirties (around the time I actually started being able to afford the type of food that can blow your mind). 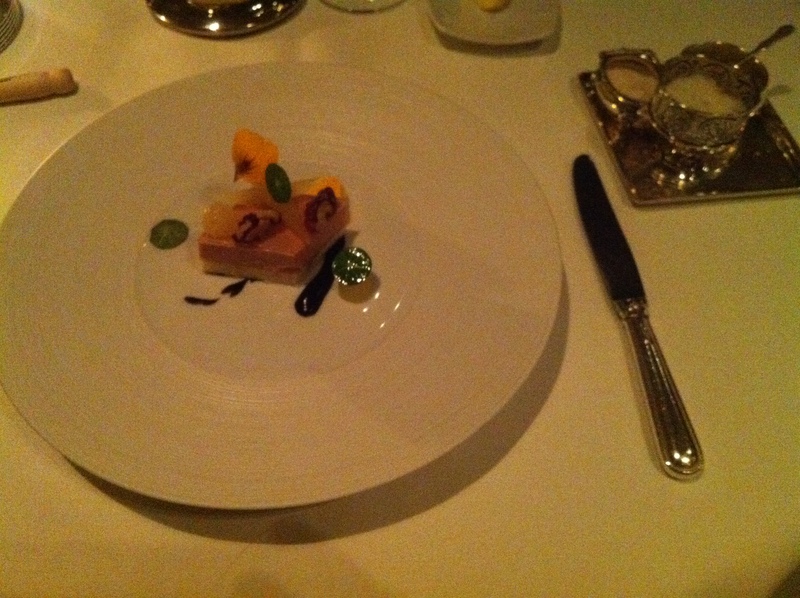 My first Michelin star experience was with David in Paris, 2008. It was a restaurant called Dominique Bouchet and it offered a “degustation” menu. The word degustation derives from Latin and means “to taste or savour appreciatively”. 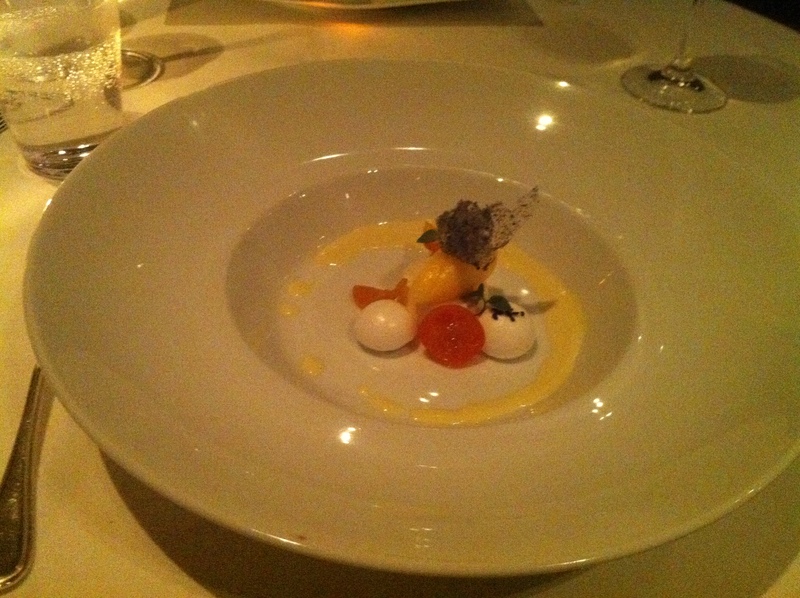 As such, restaurants use it to describe a set menu of several small dishes, each one created to tantalise and delight. At Dominique Bouchet’s restaurant the degustation menu included “veal head” as one of the courses. The sound of this neither tantalised, nor delighted us. I imagined a baby cow’s head presented to us on a silver platter. 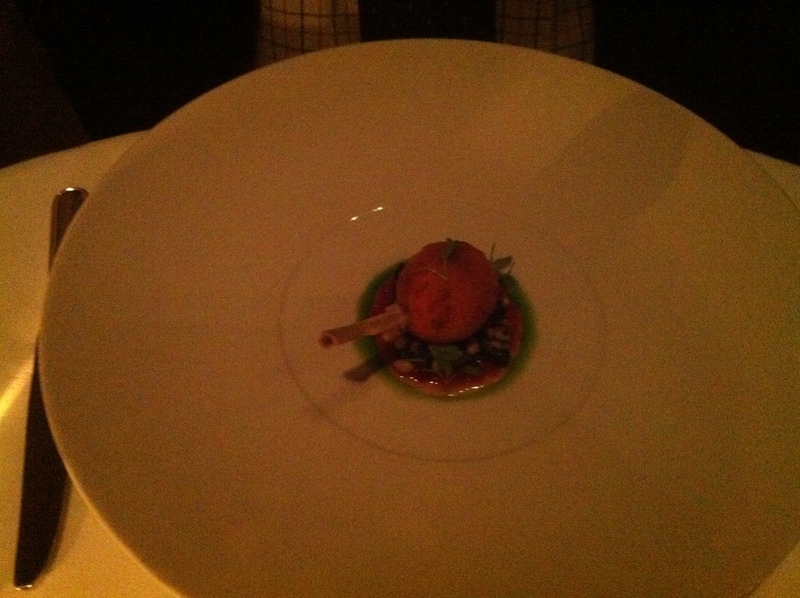 But, as the maitre’d explained, it was a roasted cut of veal cheek. So we went ahead and ate it. It was sublime. It was our first demonstration of the kind of experimentation and envelope pushing that can occur in a Michelin starred kitchen. We were hooked. Since then we’ve been to a couple of other places deemed good enough to earn the coveted star or two, but we’d never had the chance to eat in a (highest rated) 3 star restaurant before. That is, until our recent trip to the USA. Six months in the planning gave us ample time to organise, and save for, a dinner at the famous “The French Laundry” in Napa Valley, California. Following is a review of this restaurant – and to demonstrate that I am not at all a food snob, I have reviewed it alongside “In-N-Out”, a fast food burger outlet. 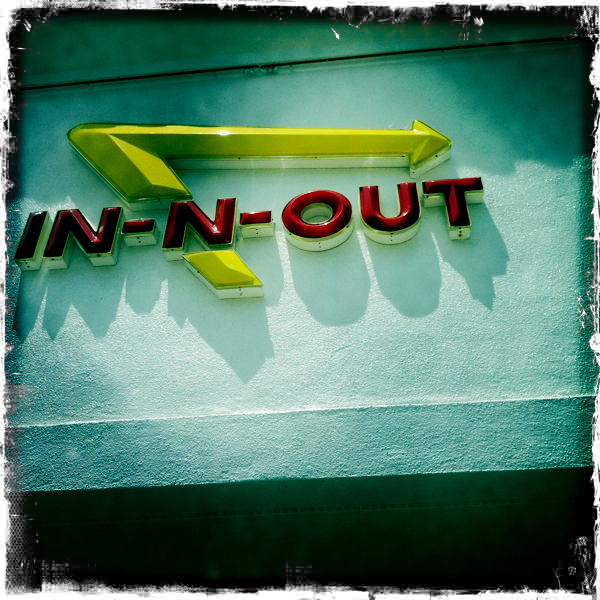 In-N-Out started life in Los Angeles in 1948 and was the first ever drive through burger stand. It was (and still is) a relatively small, family run chain with the simple goal of providing their customers with the highest quality food possible – a credo they still operate to. To this end, the chain has never frozen any of their produce or meat patties. 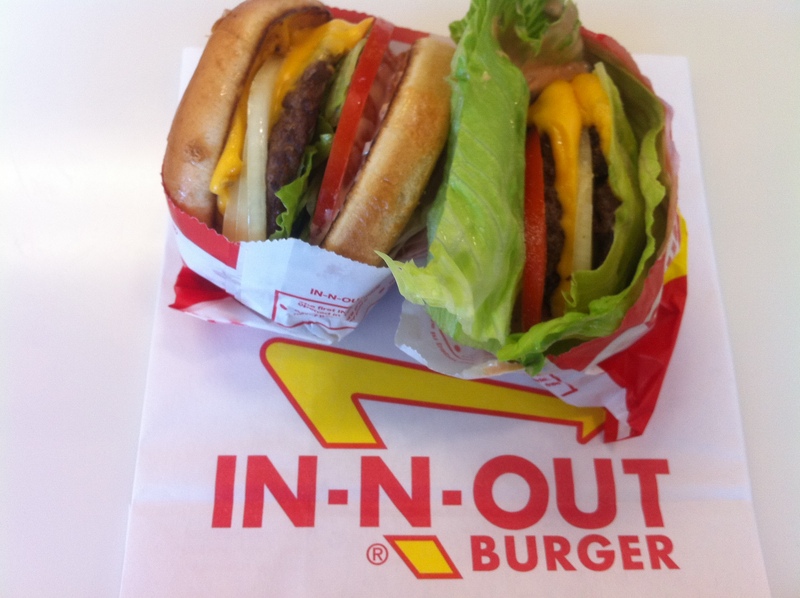 No In-N-Out is located more than a one day drive from their regional distribution centres. Furthermore, to maintain the high quality, none of 258 stores located throughout the western states of the USA are franchised. 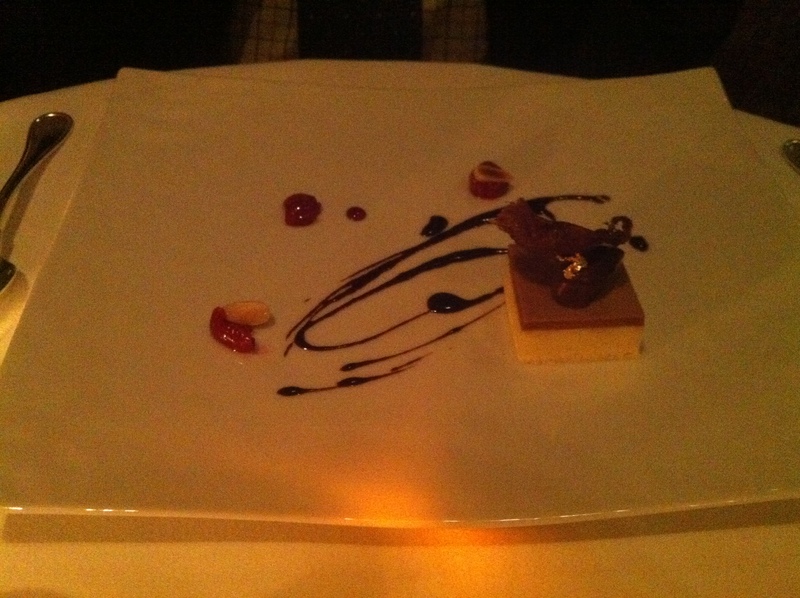 To get a reservation at The French Laundry you must call them 60 days before the date you’d like to book. And the tables go fast. I was intent on bagging a reservation – no matter what – so two months before our holiday, with three minutes left until their Reservations Desk opened, I started dialling. No answer. At the exact moment their desk opened I dialled again – it was busy. And it stayed busy for the next 45 minutes. When I finally got through I was told that there were no tables left for that night. There was nothing for it but to repeat this ridiculous rigmarole of sitting hunched over the phone, hitting the redial button over and over again for the next three evenings – and, eventually, I was rewarded with a reservation for 8.30pm on the 4th May 2011. Yay! The building which houses The French Laundry looks like a French farmhouse set in a pretty, informal garden. It’s rustic and provincial. On entering, we were struck by the country chic interior and by the hushed, formal tone. The restaurant was, of course, full – though this didn’t detract from, or negatively impact on, the level of service provided. The servers themselves performed like a well-oiled machine, choreographed to unobtrusive, yet fully effective, perfection. The service itself was friendly and playful, and not at all stuffy or snobby – which was nice. The only negative was that when David asked if they would hang up his suit jacket, he was told that they would “prefer” it if he kept it on. A quick glance around the dining room revealed that yep, all the men still had on their jackets. Now, I’m completely on board with a formal dress code in a fancy restaurant but I think that not being able to take your jacket off is just stupid. All it achieved was making all the men in the restaurant more uncomfortable than they needed to be. In-N-Out, naturally, doesn’t enforce a dress code. 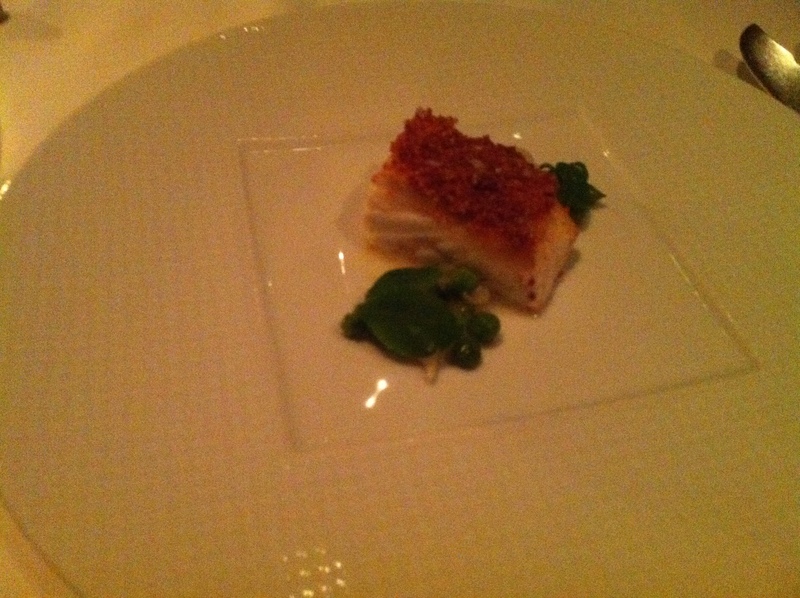 Like The French Laundry, however, every time we visited (three) they were absolutely jam packed. There were always at least ten cars in the drive through and at least six people in the queue at the registers. This was, in no way, an indictment on the service. Just like the fine dining restaurant, the service at In-N-Out ran like Swiss clockwork. I recall one occasion when there were 50 orders ahead of ours; we both rolled our eyes, thinking we’d have to wait at least half an hour before we could eat. Less than ten minutes later though, we had our meal. 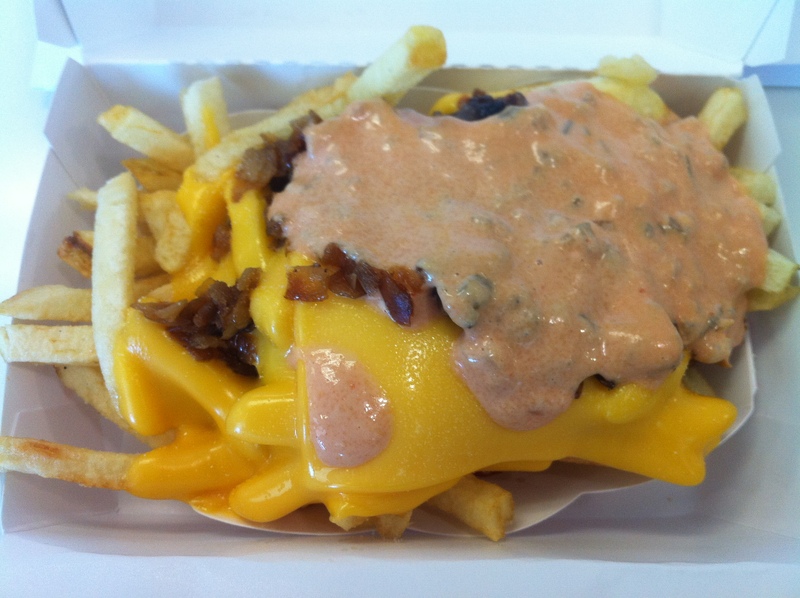 Now, most fast food joints pre-prepare a lot of their food items – this isn’t the case at In-N-Out. The kitchen is completely open and it was easy to see why the food was coming out so fast. There was a lot of staff and they all worked well together. Sure, the ambience of In-N-Out doesn’t come anywhere close to matching that of The French Laundry but both restaurants provided magnificent service – efficiently and with a smile. Winner: Draw. 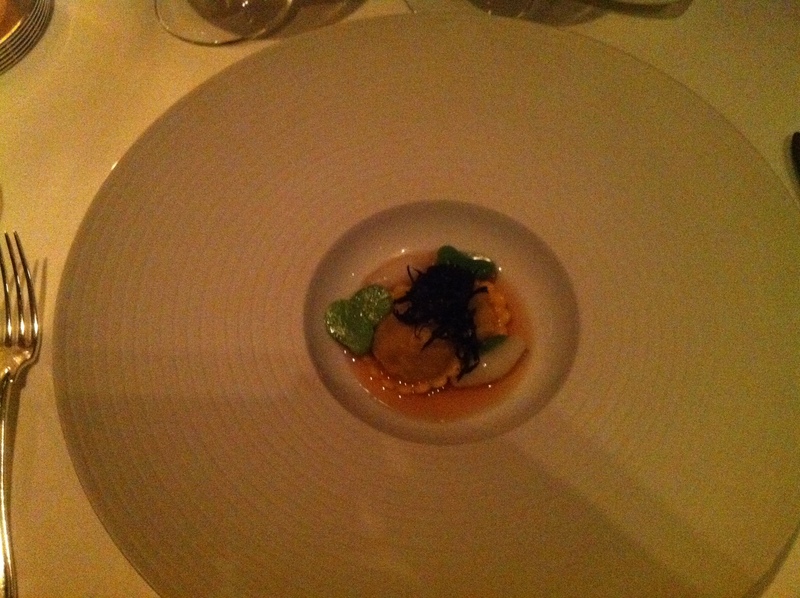 The French Laundry serves two nine-course tasting menus that change daily (one is entirely vegetarian). They pride themselves on no two dishes having the same ingredient. 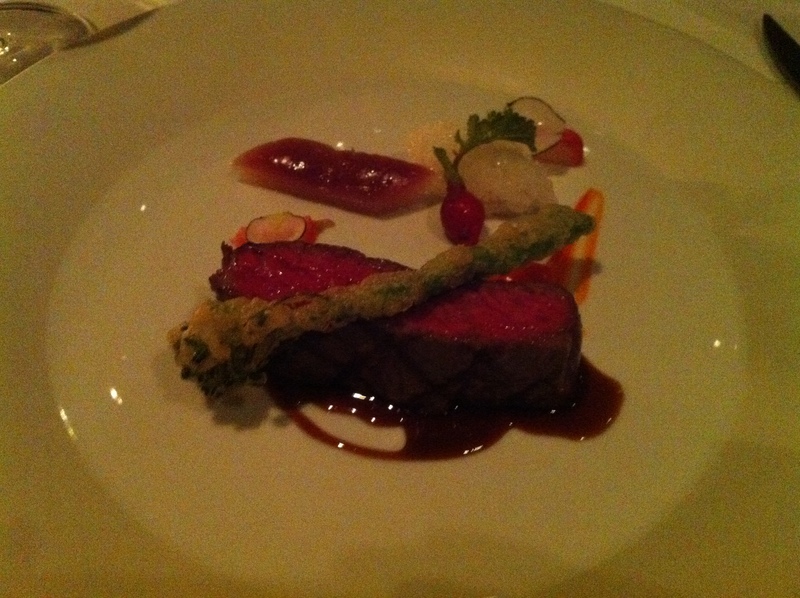 Every dish here is an exercise in the mastery of food elevated to art. This type of thing doesn’t appeal to everyone (it does, if you hadn’t already guessed, appeal to me). For some, food is fuel. At The French Laundry, food is theatre. It is performance. Each tiny dish, presented with a flourish, is designed to be consumed in three or four bites. These dishes take hours to compose. Some take days. This is NOT food for fuel. This is food for the senses, first to be devoured by the eyes and then by the mouth, each texture and taste precisely calculated to elicit a rapturous response in the diner. On this occasion, whilst the food was absolutely lovely, it elicited no rapture. The sum of the parts equalled, disappointingly, only the sum of the parts. Perhaps the six months anticipation of dining at this revered culinary institution had inflated my expectations to a level where they could never be met. Or, maybe it’s just an over-rated (and ridiculously over-priced) restaurant. I’m glad we went, but I don’t think we’ll be in a hurry to return. I know it seems childish and perhaps a little disrespectful to compare The French Laundry (winner of The Best Restaurant In The World Award in 2003 and 2004) to a family run burger joint – but the fact of the matter is that I walked away from In-N-Out extremely impressed and more than satisfied. 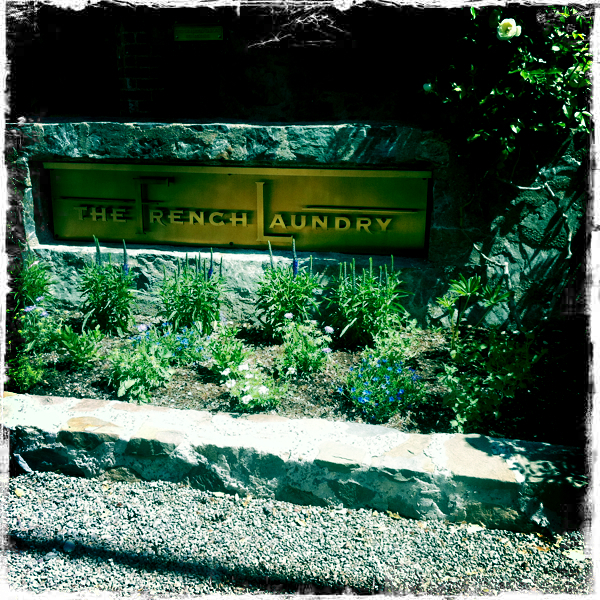 I walked out of The French Laundry feeling kind of… meh! And ripped off. 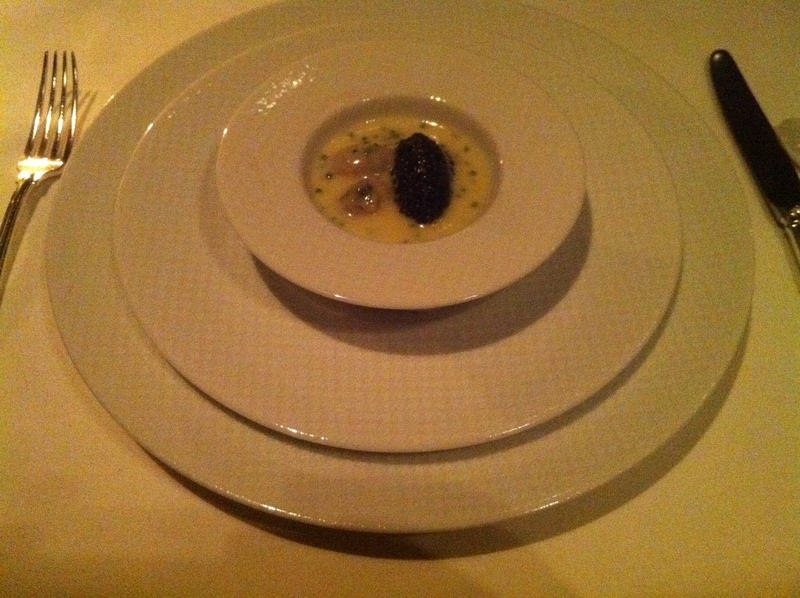 Of course this hasn’t completely dampened my enthusiasm for Mr. Michelin and his stars. But for now I feel like that box has been ticked and I doubt I’ll go out of my way again to eat at a restaurant simply because it has three stars.